P.S. Pilot in the picture is Mike "Saint" Bellygone. Saint had left the US Air Force to be an F-5E instructor pilot with the BAAF. Although he was a civilian, he was asked by the commander of the BAAF to help get them started with their combat operations. 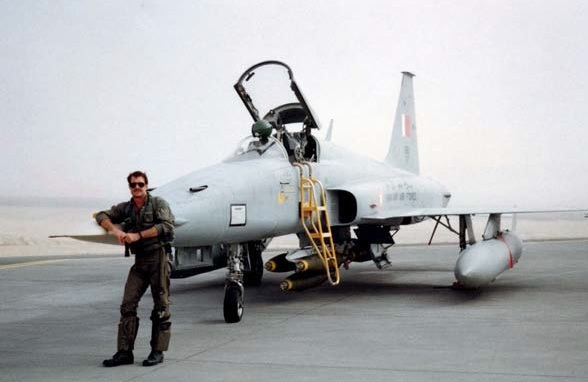 Saint flew as flight lead on their first combat mission and as Bahraini pilots gained experience he flew as number three and then number four. By the end of the war, Saint had flown 21 sorties.